The durability of our metal residential roofing eliminates repairs and re-roofing. It lowers your family’s heating and cooling costs. We offer a wide variety of styles and finishes to suit your home. Our beautiful metal roofing will increase the curb appeal of your home as well as add to its value. London Metal Roofing specializes in working with the finest European metal materials including steel and aluminum sheeting. We use the latest techniques on existing roofs and new roofing projects, to construct stylish, yet durable roofs. Our focus is on quality, durability and costs effectiveness for our customers. The metal can be formed into various shapes and styles to suit your home. With over ten colors and different finishes to choose from, a Green Metal Roofing solution will increase your property value. Instead of replacing shingles every ten years install a maintenance free, metal or aluminum roof. 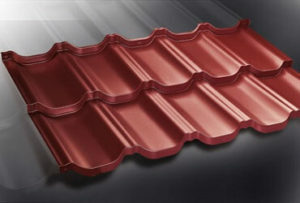 A wide range of colors and applicability of the panels on various roof profiles allow the matching of the roof to the exterior of the building and the surroundings. The length of the tile panels is cut to an optimal size to eliminate wastage and keep the cost as low as possible. If you’re looking to upgrade your current residential roof, make the best choice. Our roof system uses zinc galvanized cutting edge technology, provides 55-year transferable warranty, improves curb appeal and adds lasting value to your home. When considering a metal roof, you’ll first want to determine the basic look you want it to have. Residential metal roofing comes in two basic forms that are very different in appearance: sheet-like panels and shingles. Within these two categories, there are many variations, colors, and patterns…more about that later. Metal panel roofing. 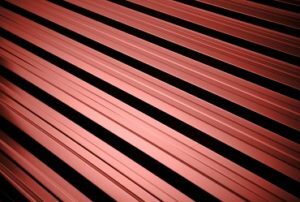 The most familiar pattern of panel-style metal roofing, “standing-seam roofing,” has raised ribs every 6 or 12 inches and is applied vertically on a roof and doesn’t attempt to look like anything other than what it is: metal roofing. It has a decidedly commercial look that is favored by architects for its true, clean, contemporary appearance; it is commonly used on homes ranging from mountain cabins to modern masterpieces but would look very out-of-place in a Colonial home. 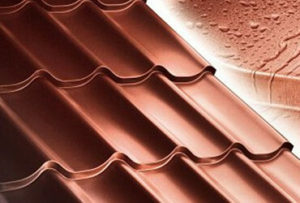 Metal shingle-style roofing is quite different than sheet roofing. With this style, metal is formed into shapes that imitate Spanish tile, wood shakes, or slate. These shingles are typically given multiple-layer factory finishes that may include granulated-stone topcoats to complete the realistic effect. For a much more detailed look at both types of metal roofing, see Standing Seam Sheet Metal Roofing and Metal Shingle Roofing. 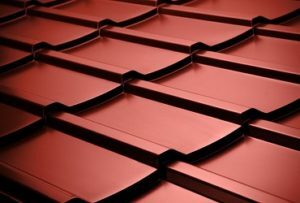 In the articles listed below, you’ll find helpful information on the pros and cons of metal roofing, materials used for metal roofing, popular brands, how to choose a metal roofing contractor, and basic metal roofing repairs.